Once in a while we meet someone who seems nothing out of the ordinary and then we get blindsided as we learn more about them. Kameka ‘KC’ President is one of those special individuals. At first glance, KC is a tall slender seemingly shy and introverted young lady. Not many would have guessed that this 21-year-old is one of the more decorated female rugby players on the island in recent years. KC, as she preferred to be called, started rugby two years ago. She is a member of the VBCC Stingers Rugby Team and has been competing in various local and regional tournaments. 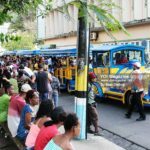 During her first year, she was part of the national female rugby team who competed and placed second in a Women’s 7s tournament in Guadeloupe. 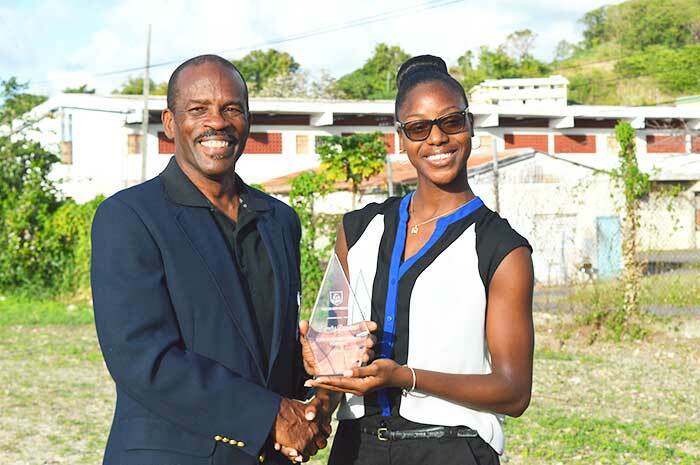 More recently, she was part of the national female rugby team who placed fourth among ten regional teams that included Mexico, Dominican Republic, Jamaica, Guyana and Trinidad and Tobago among others. In her two year stint in the sport, she has garnered the respect of her teammates, coaches and everyone in the local rugby fraternity, not only for her athletic abilities and skills in rugby, but more significantly because of her attitude and demeanor. She stands out not because she chooses to, but simply because of her humble approach on and off the field. Rugby is a sport with a notorious reputation for being violent and dangerous. Players, both male and female, are generally seen as rugged and tough. Not KC. This fly half runs with grace and tackles with poise and she does this without compromising effectivity. Now these characteristics are quite refreshing to witness on a rugby pitch. 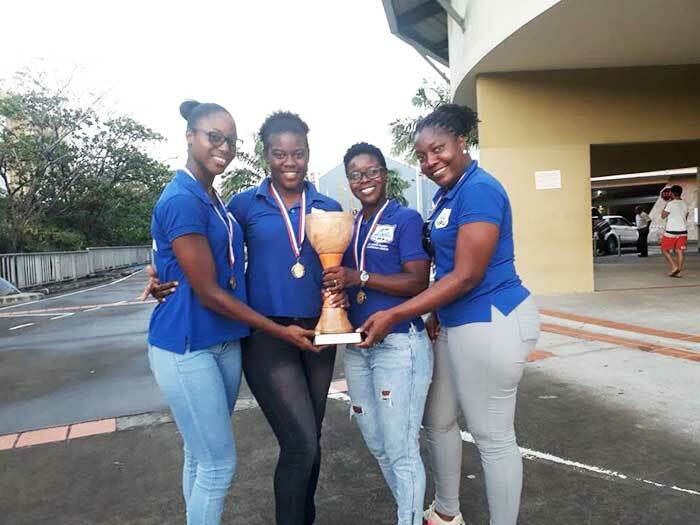  National team for 2018 TropheeAtlantiqueFeminin 7s (Martinique) winning the tournament among four teams.  National team for 2018 Bouclier Monique Ribeaut Women 7s Tournament (Guadeloupe) emerging as champions. Let us get to know KC some more. Q: Rugby is known as a tough and dangerous sport. Do you think so? Why? KC: It is very tough but I do not think it is dangerous. I believe if it is played properly, it shouldn’t be of any danger to you or anybody else. The most contact you make with the opponent is when you have the ball. Q: How did you start in the sport? KC: I was highly encouraged by my sister, Signa, and her friends from the VBCC Stingers Rugby team. I went to watch a few of their games and thought I should try it. Q: What do you like the best about the sport? KC: To be honest, as much as I like the family aspect of it, I love the comradery of rugby players. During a game we’re all enemies, but in the end, if they put a good hit on you, we can all laugh about it, have a drink together and move on. We play hard but we celebrate harder. Q: What do you like the least about it? KC: Rugby can be played rain or shine but I do not like mud. Something you would rarely hear from a rugby player. Most of them like to slip and slide but not me. It’s something I cannot control sometimes so I have to tolerate it. I still try my best. Q: You and many other female rugby players have proven that rugby is for both genders,but would you recommend other girls/women to get into the sport? Why? KC: Of course I would recommend other females to get into it! In all honesty, I think anything guys can do, girls can do better. 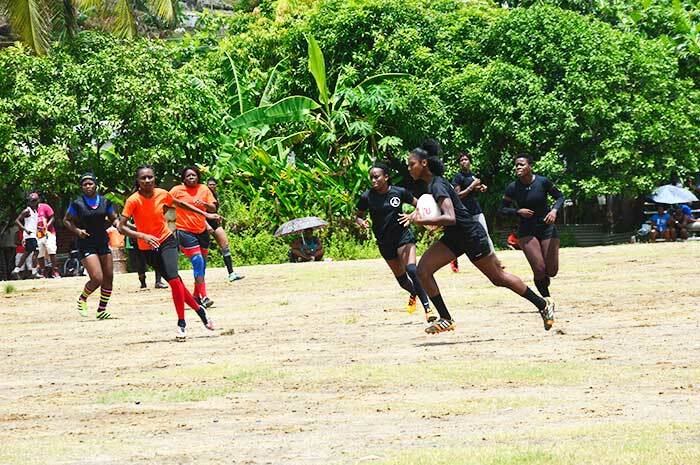 Fact: St. Lucia’s rugby females usually outperform the males. We’re just as tough, if not tougher, so I would encourage all females to try rugby and show your girl power. Q: What goes through your head when you encounter a tough situation or opponent on the field? Does it also apply when you are off the field? KC: Coach Garner would always tell us if there’s an opponent who is being difficult, tell the team. They would always have your back and lend a helping hand. The same goes for everyday situations. There’s always someone you can go to who would help, whether it be a friend or parent or coach. Support is one of the most important things to have in rugby. 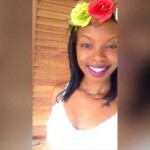 KC: I am a member of the AVAD Dance Ministry and I also played basketball before I joined rugby. Q: What do you aspire to become? KC: We all aspire to become an Olympian, however, outside of that I aspire to become an Information Security Analyst. Q: You have broken the mold; you are a dancer and a rugby player. It would seem like they are at opposite ends of the spectrum. Do these two complement each other or are they total opposites? KC: They do complement each other. Maria Nikolopoulou, a famous Greek dancer and rugby player said that “dancers have a much more clear perception of the human body. That mainly helps me to distinguish and predict the opponent’s movement according to the inclination of her body.” Agility, balance, strength and flexibility are the most common between the two. 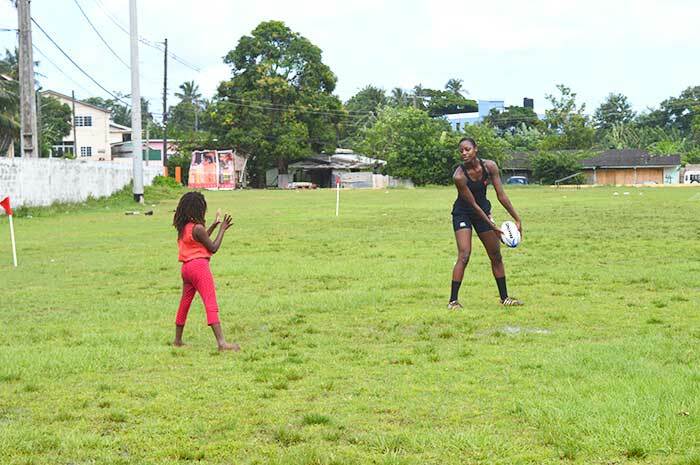 As a young Saint Lucian woman, KC is proving to break stereotypes about women in sports, specifically in the tough sport of rugby. 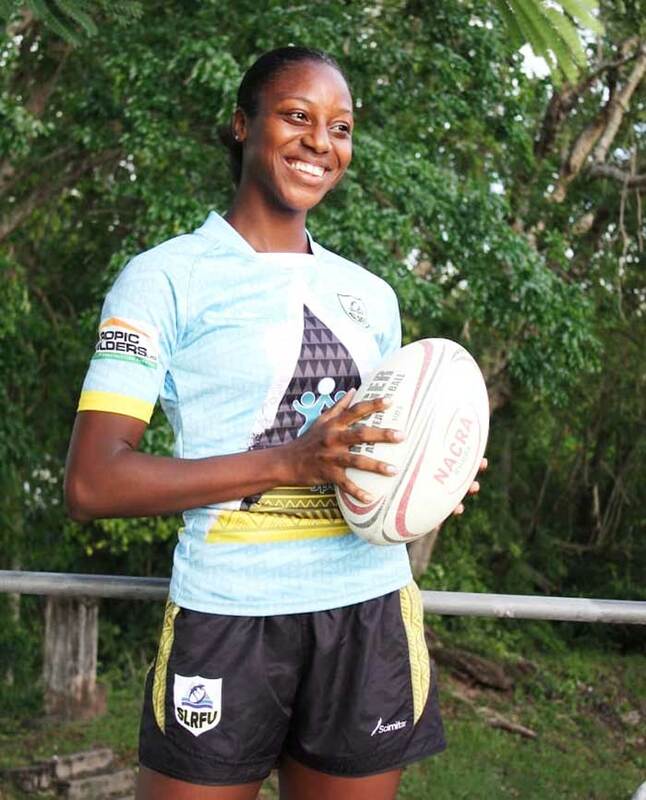 She has a great future ahead of her on and off the pitch and is definitely someone we need to look forward to seeing when Saint Lucia finally represents a rugby team in the Olympics. Congrats KC!!! Keep aiming for your goals. Your entire extended family is there to support you.